Designed for margin and close range fishing, the 8.5m Beastmaster Margin can be used with the very largest solid and hollow elastics, when fishing for large carp or catching big weights of all species. 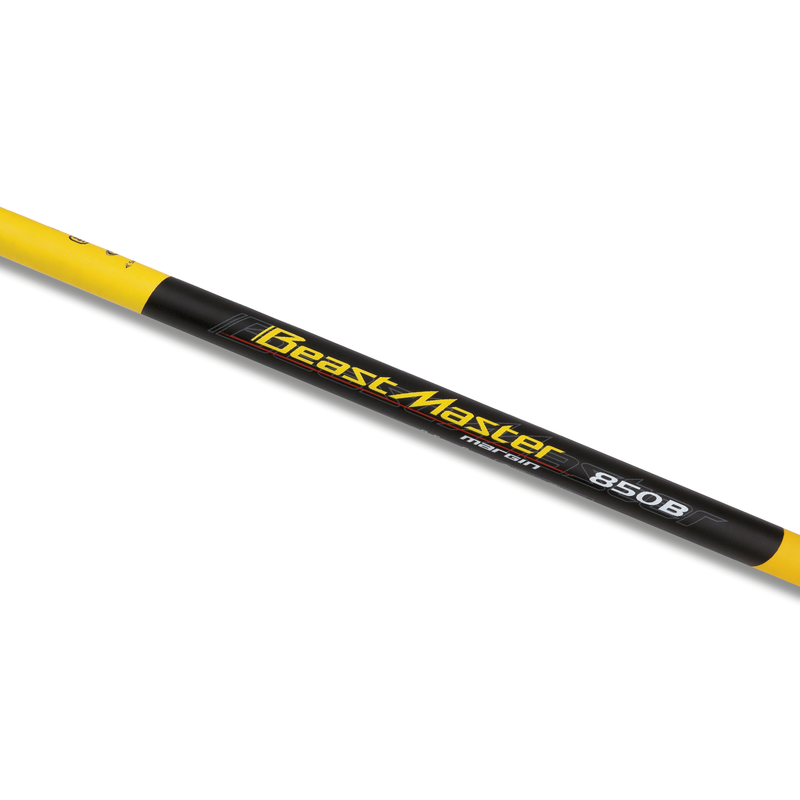 Featuring Shimano Safety Zone strengthening and Ultra Sound Sanding the Beastmaster Margin is one of the toughest poles available and perfect for margin and close range work. Shimano Alignment system (S.A.S.) is a system to optimise the pole or rod action. During production, the backbone of each section is found and marked. When assembled accordingly you get a backbone which gives the stiffest possible alignment. The Safetyzone is made up of conical bands, located at the bottom of selected kits. Inspired by the Bamboo plant which uses bands for stem strength, the Safetyzone improves compression strength in the areas that receive the most stress when landing fish. Available on the majority of Shimano poles, this unique process results in a finish that is silky smooth for almost frictionless shipping and unshipping in both hot and wet conditions. It also provides great grip for breaking down sections and playing fish. Special Shimano reinforced carbon joints prevent premature wear and increase total joint strength and durability. Selected poles have a short extension that can be used on different sections of the pole. This extension is ideal to limit the amount of pole showing behind the user, especially on canal towpaths. The section is also reinforced offering greater wall strength when striking at longer lengths.